AFSA’s Award for Lifetime Contributions to American Diplomacy honors those who have made extraordinary contributions to diplomacy and the diplomatic profession over many years. The American Foreign Service Association established its award for Lifetime Contributions to American Diplomacy in 1995. By giving this high-profile award, AFSA also seeks to bring greater recognition to its other awards, including its unique annual awards for constructive dissent. The nominee should have at least a decade of service to diplomacy and foreign policy development, and have made an enduring, positive impact on the diplomatic profession itself, including but not limited to promoting the Foreign Service’s primary role in foreign policy within the executive and legislative branches and strengthening the institution of the Foreign Service. The nominees are normally retired career diplomats, but may include other individuals in exceptional circumstances. When looking at an individual who was not a career member of the Foreign Service, one must consider the effect that the individual has had on promoting the role of the Foreign Service and championing diplomacy. The nominees are considered for their accomplishments during both active duty and in retirement. The enduring impact of their work on diplomacy, the profession, and diplomatic institutions and practices is particularly important. Nominees must be able to attend the awards ceremony in person. The presentation takes place during AFSA’s annual Awards Ceremony, typically in October at the Department of State. The Secretary of State is invited to present this award. If the Secretary is unable to attend, a distinguished individual who has worked with the recipient is asked to present the award. Colin Powell presented the award to Thomas Pickering and to George Shultz; Elliot Richardson presented the award to Frank Carlucci; Mr. Carlucci presented it to Lee Hamilton; Robert Zoellick presented it to Richard Lugar; Senator Lugar presented to award to Senator Nunn; and Lawrence Eagleburger presented the award to Joan Clark. Honorees are presented with a globe and certificate. Click here for a complete list of previous recipients. For information on these awards, please contact AFSA's Awards Coordinator, Perri Green, at green@afsa.org or (202) 719-9700. Ambassador Ronald E. Neumann is the recipient of AFSA’s 2018 award for Lifetime Contributions to American Diplomacy in honor of his distinguished career and lifelong devotion to the long-term well-being of a career professional Foreign Service. Past recipients of this award include George H.W. Bush, Thomas Pickering, Ruth Davis, George Shultz, Richard Lugar, Joan Clark, Tom Boyatt, Sam Nunn, Rozanne Ridgway, Nancy Powell and William Harrop. Ambassador Neumann was born in Washington, D.C. but grew up in California. He earned a B.A. in history and an M.A. in political science from the University of California at Riverside and is a graduate of the National War College. He is married to the former M. Elaine Grimm. They have two children. Neumann served three times as Ambassador: to Algeria, Bahrain and finally to Afghanistan from July 2005 to April 2007. Before Afghanistan, Ambassador Neumann, a career member of the Senior Foreign Service, served in Baghdad from February 2004 with the Coalition Provisional Authority and then as Embassy Baghdad’s liaison with the Multinational Command, where he was deeply involved in coordinating the political part of military actions. Prior to working in Iraq, he was Ambassador in Manama, Bahrain (2001-2004), Deputy Assistant Secretary in the Bureau of Near East Affairs (1997-2000) with responsibility for North Africa and the Arabian Peninsula, and Ambassador to Algeria (1994 to 1997). He was Director of the Office of Northern Gulf Affairs (Iran and Iraq; 1991 to 1994). Earlier in his career, he was Deputy Chief of Mission in Abu Dhabi, United Arab Emirates, and in Sana'a in Yemen, Principal Officer in Tabriz, Iran and Economic/Commercial Officer in Dakar, Senegal. His previous Washington assignments included service as Jordan Desk officer, Staff Assistant in the Middle East (NEA) Bureau, and Political Officer in the Office of Southern European Affairs. Neumann speaks some Arabic and Dari as well as French. He has received State Department Superior Honor Awards in 1993 and 1990. He was an Army infantry officer in Vietnam and holds a Bronze Star, Army Commendation Medal and Combat Infantry Badge. In Baghdad, he was awarded the Army Outstanding Civilian Service Medal. 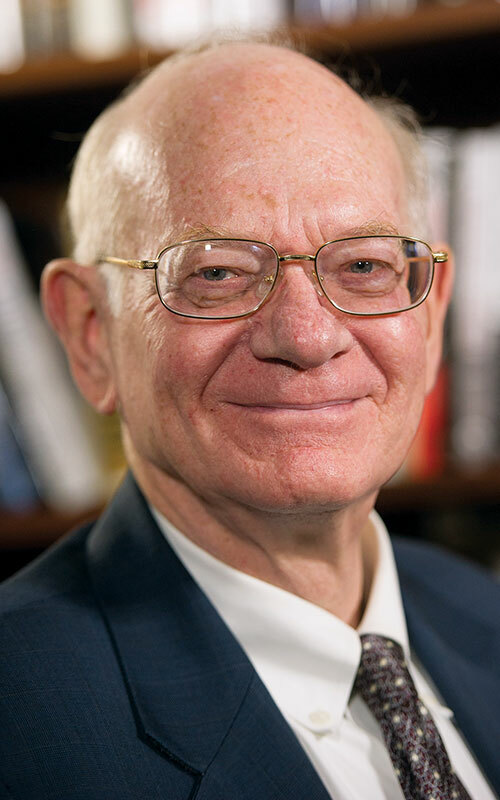 Neumann retired in 2007 and serves as the President of the American Academy of Diplomacy, an organization of former senior U.S. diplomats dedicated to improving American diplomacy. At the Academy he has focused particularly on efforts to maintain adequate State and USAID budgets and staffing to enable these institutions to carry out their responsibilities. Ambassador Neumann is on the Advisory Board of a non-profit girls’ school in Afghanistan, the School of Leadership, Afghanistan (SOLA) and the Advisory Board of Spirit of America. He is on the board of the Middle East Policy Council and the Advisory Council of the World Affairs Councils of America.